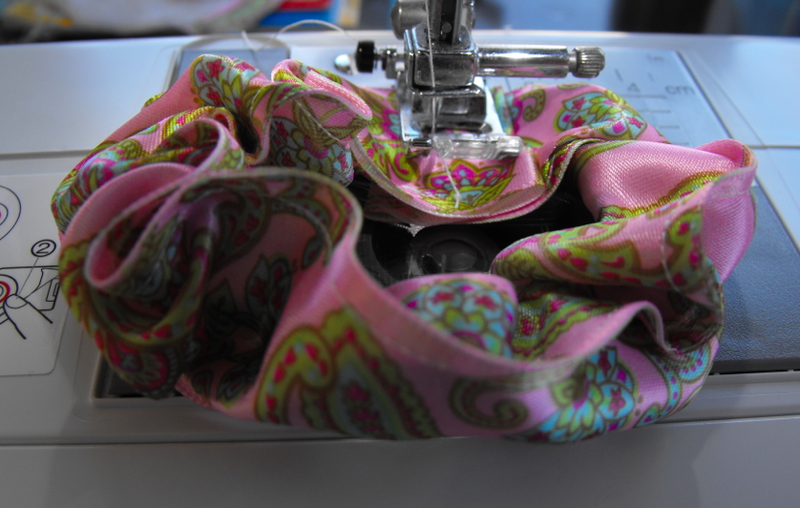 When my girls were babies I loved making them little headbands to decorate their soft baldy heads...it was so easy to whip up a headband in a few minutes. Well, I completely forgot about these headbands until I came across one in a box the other day. So, the genius that I am, I turned my old headband design into a bracelet/wristlet for my sweeties for Valentine's Day! They also expect balloons and treats (but who doesn't?). Ribbon - grosgrain seems to work best for this...not as slippery as a satin ribbon. Buttons - left over buttons or rescued from a flea market are good in various colors. Sewing Machine - this can be done by hand, but might take a while. Bracelet end pieces - little silver or gold findings that will close some of your bracelets (optional). Elastic - any kind of thin elastic will do, as long as it's stretchy and not too tight. Measure the wrist you're making this for...you will be trimming some off at the end too. I used 6 inches of elastic for this project and trimmed accordingly. After you have your elastic cut to length, you will hold this up to your ribbon and cut a piece that is four times longer than your elastic. 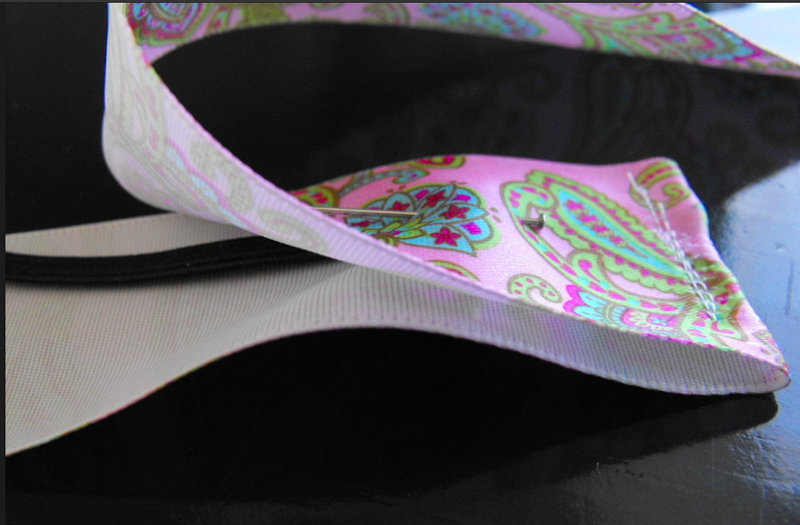 Fold ribbon in half length-ways and place elastic inside with the edge of elastic hitting the fold of the ribbon. Pin the elastic securely with a pin. 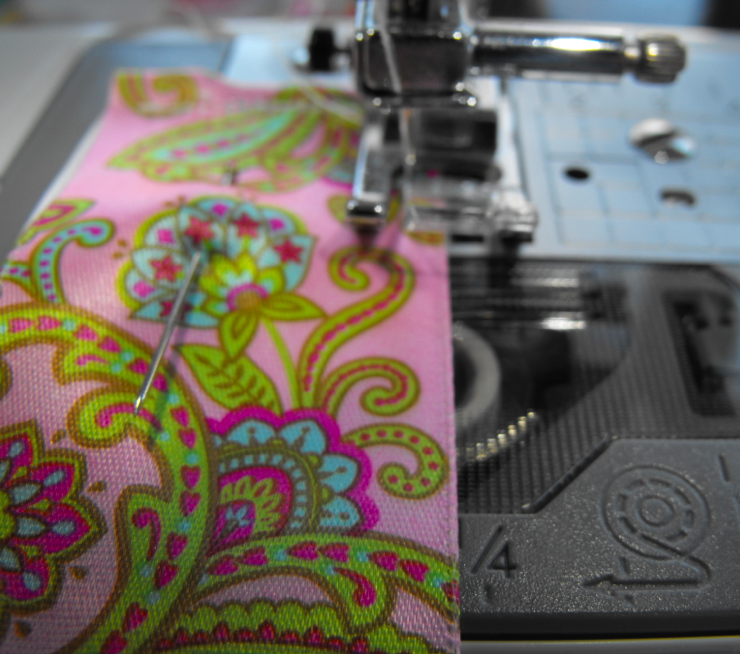 With your sewing machine set on a small stitch you will proceed to stitch your elastic into place at the end with a four or five stitches minimum. Next, run a seam from the elastic stitched edge all the way down one side of the ribbon, so your two edges of ribbon will be stitched together with the elastic hanging free down the middle. Now the tricky part. 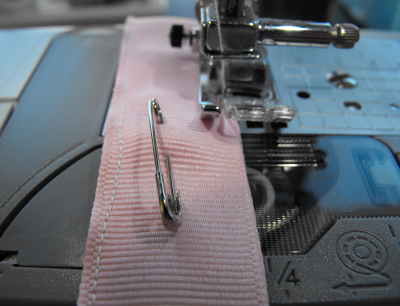 Place a safety pin where the elastic ends so you know where to pause during your next seam down the other side. If you go too far you won't be able to grab the elastic from the inside. 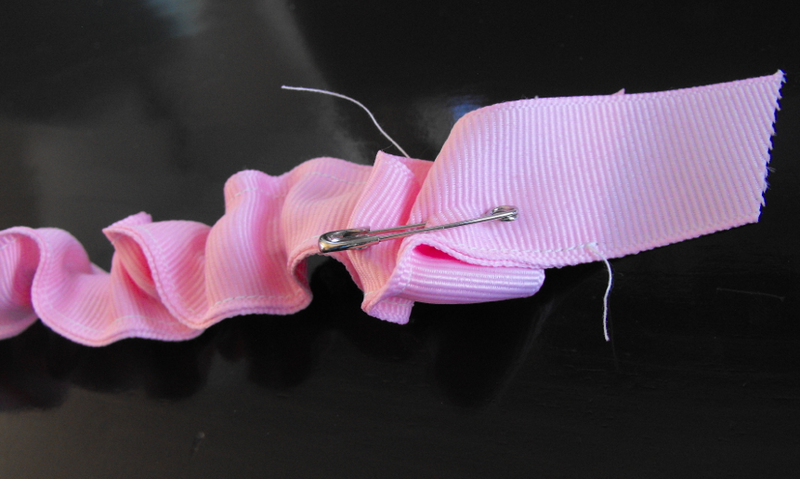 Stitch slowly and at the safety pin stop, don't take your needle out of the ribbon, just lift the sewing machine foot up. Undo safety pin and pull the elastic as far as it will go (the ribbon will ruffle up where you stitched). 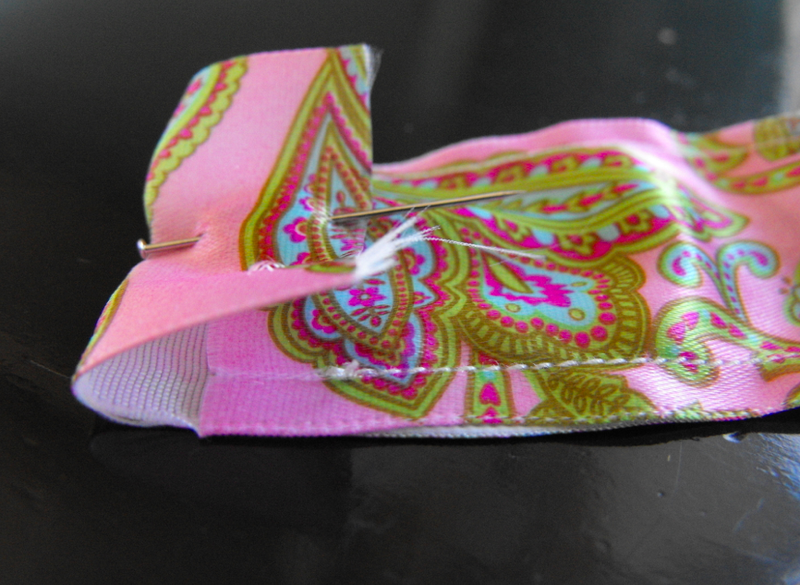 Holding the elastic firmly, pin it to the ribbon as far down as you can. Now pull the ruffled side of the ribbon with one hand while lowering the foot and continue to sew your seam. You may have to do this step twice until you get to the end of the ribbon. When you reach the end, make sure to secure your elastic with a pin (safety is best) so it doesn't snap back up inside the ribbon you just stitched together. 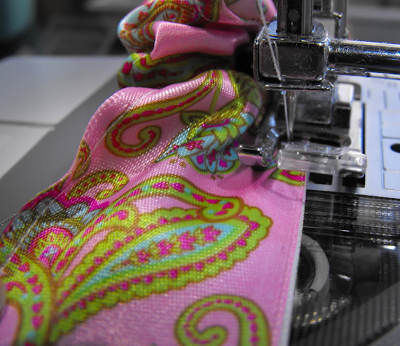 You will now fold over the end of your ribbon so it looks tidy and stitch the elastic securely to the end. This is where you can trim to fit if it is too big...make sure and snip off all threads (I forgot this in some photos). Now you can either sew both ends together (which I did for my girls) or you can stitch on the bracelet findings (found in the jewelry making section of your craft store). 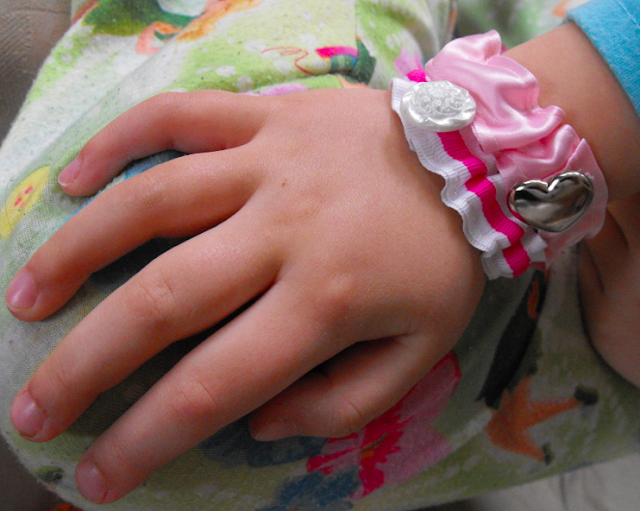 You can also decorate with buttons, beads, and anything cute you can sew on easily. 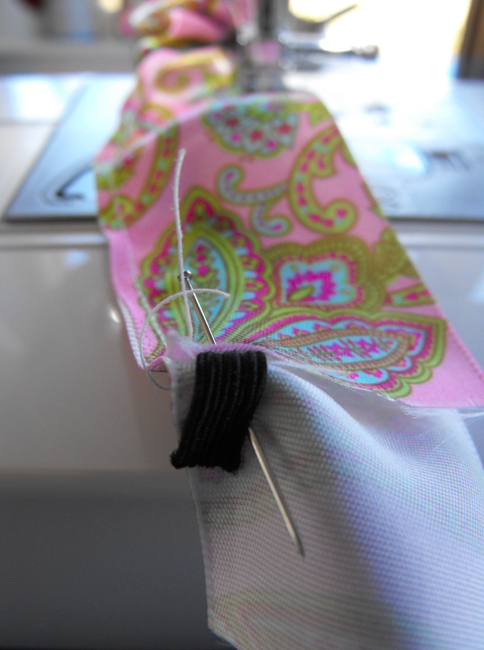 Depending what kind of elastic you use these would make adorable pony tail holders too! 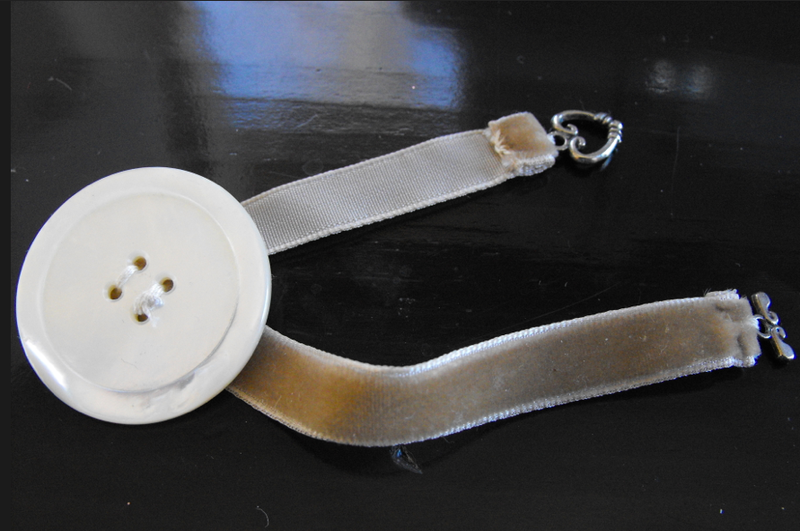 make this with velvet ribbon and a button sewed on - simple! So, that is my last ditch effort to make something different for my daughters for Valentine's Day. Hope you enjoy your day with your loved ones!